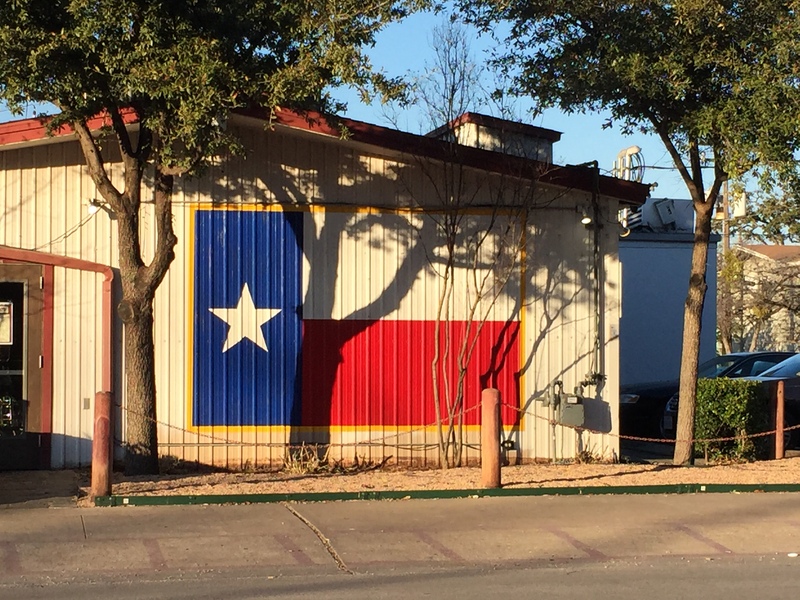 I made it to Austin, Texas on Monday evening. 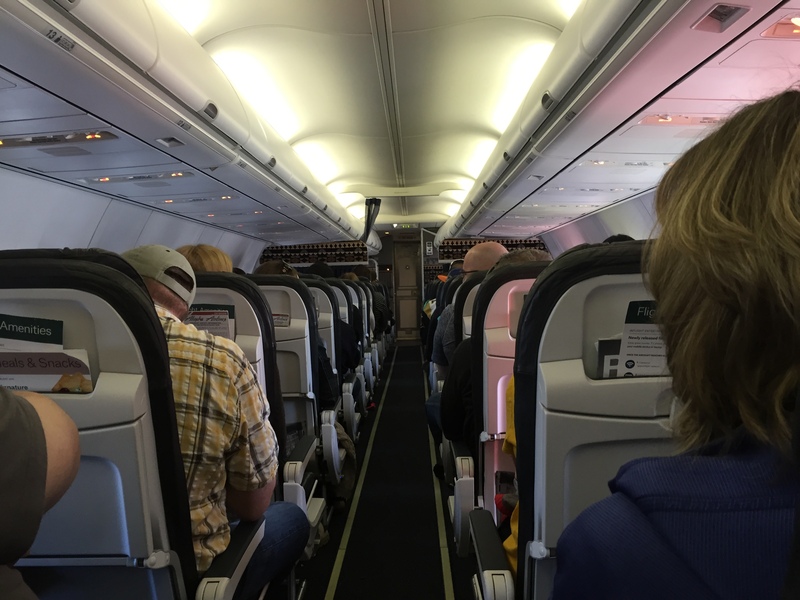 The 15+ hours of travel with three plan changes was grueling. I did some serious head bobbing on the flight between Seattle and LA, but other than that I did not sleep. Alaska Airlines has some fancy new planes. With gadget power-ups on the back of every seat. 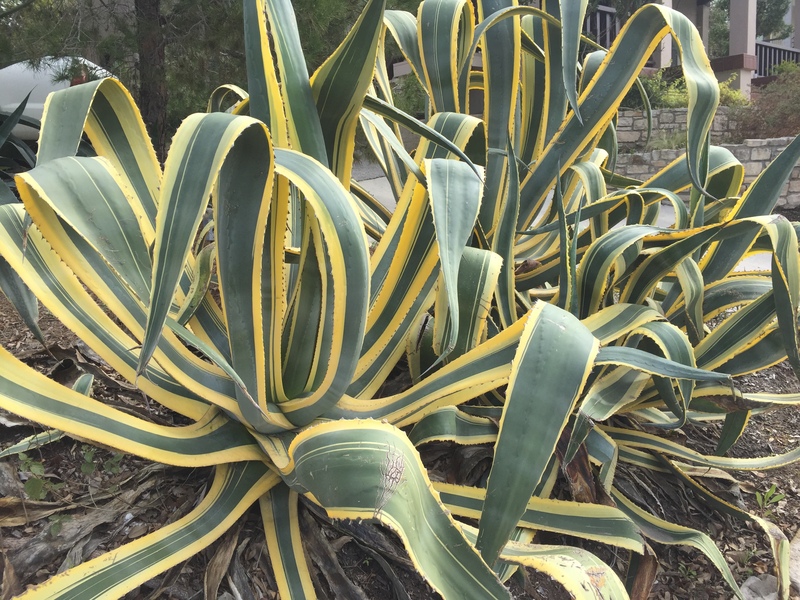 Yesterday, my roommate Lois Cleal and I ventured out for a day of walking around SoCo also known as South Congress. 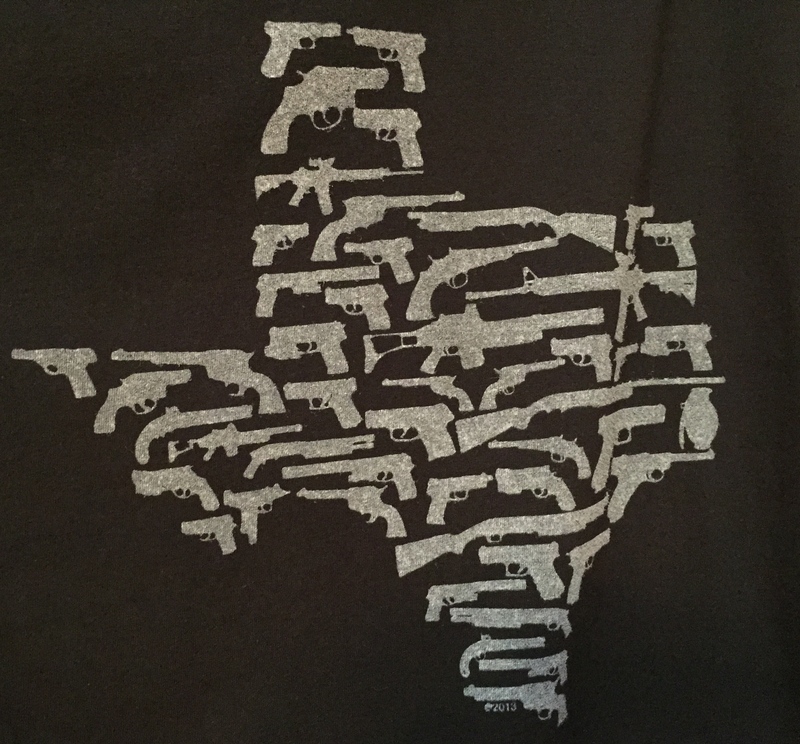 There was no doubt we were in Texas proper. 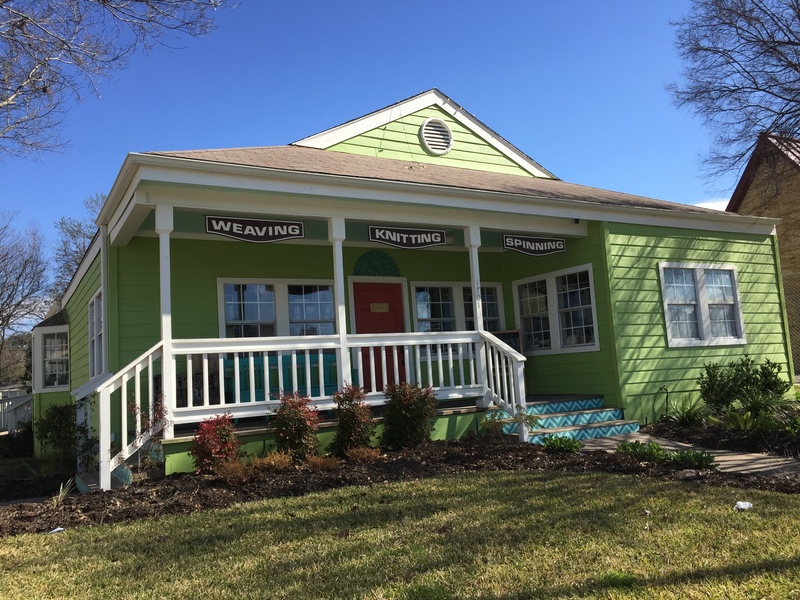 A sweet–little from the outside huge on the inside–yarn shop. Where I showed complete restraint and did not by a single skein of yarn (for now anyway). Great signage of all kinds. 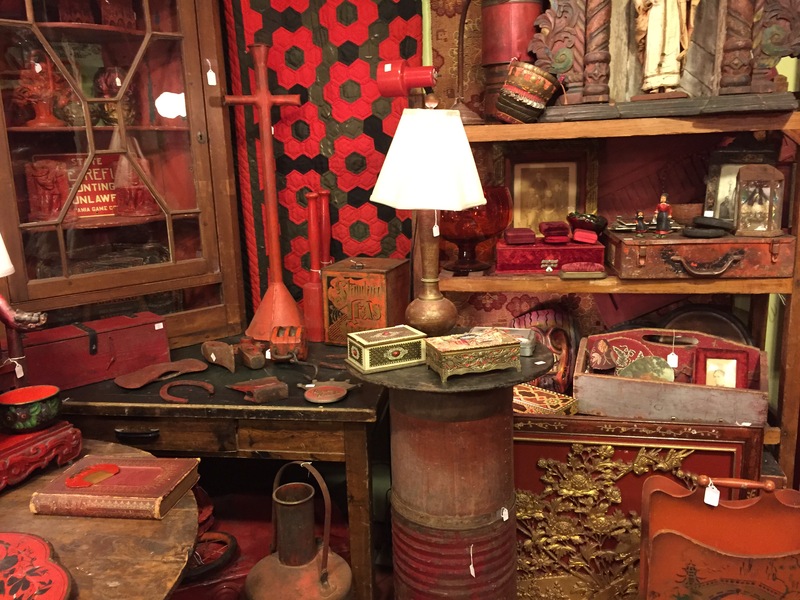 A vintage store with many alcoves–all with their own color scheme. 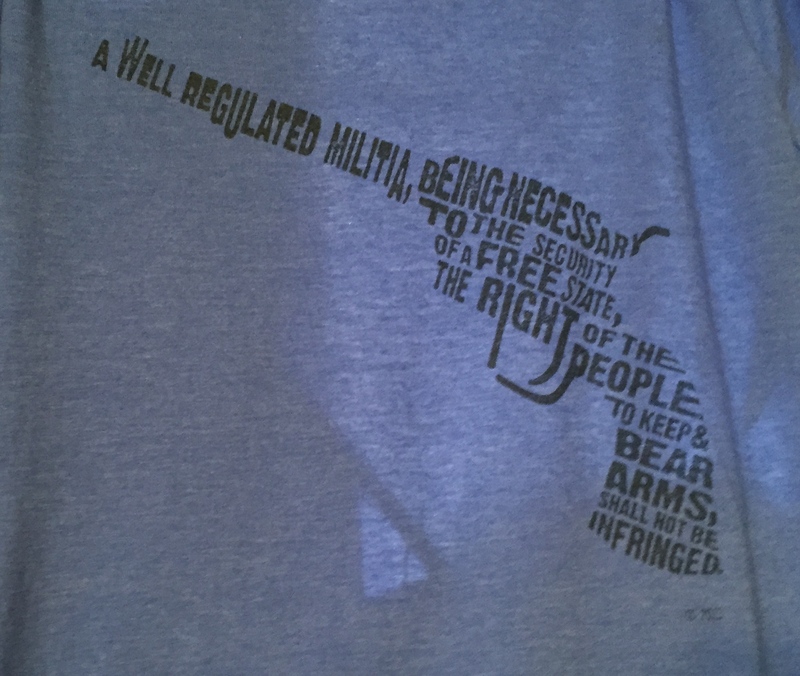 It would not be Texas if there wasn’t some mention of the second amendment–on t-shirts of course. We ended the day at Hopdoddy’s, a super yummy burger and beer shop. By the time we left, there was a line around the corner. 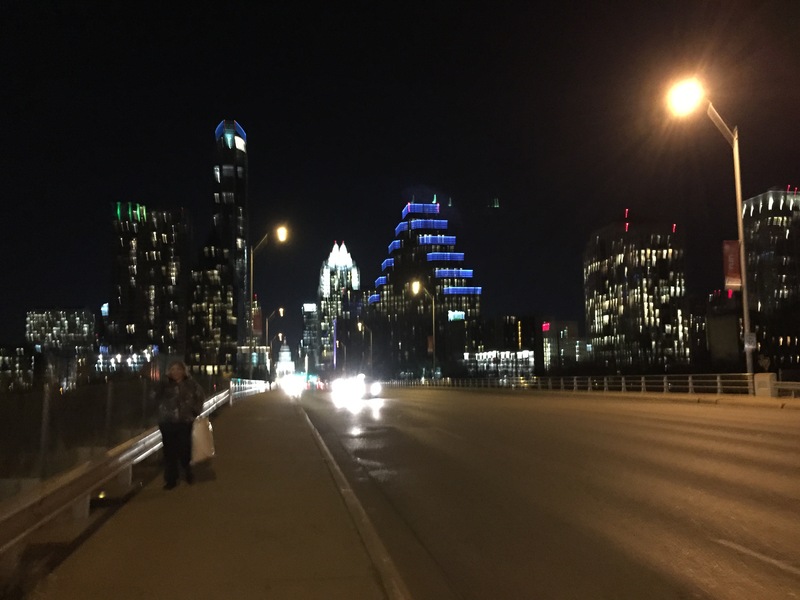 It was dark when we finally headed back across the Lady Bird Lake River towards our hotel. It was a great way to begin our QuiltCon adventure. 18 Feb	This entry was published on February 18, 2015 at 3:45 PM. It’s filed under Art in Place, News And Events, Quilt Stories and tagged Austin Texas, Modern Quilt Guild, QuiltCon. Bookmark the permalink. Follow any comments here with the RSS feed for this post. Sue- I just got here. I think we are going to meet for dinner! Hint: sock yarn makes a great souvenir. I know! 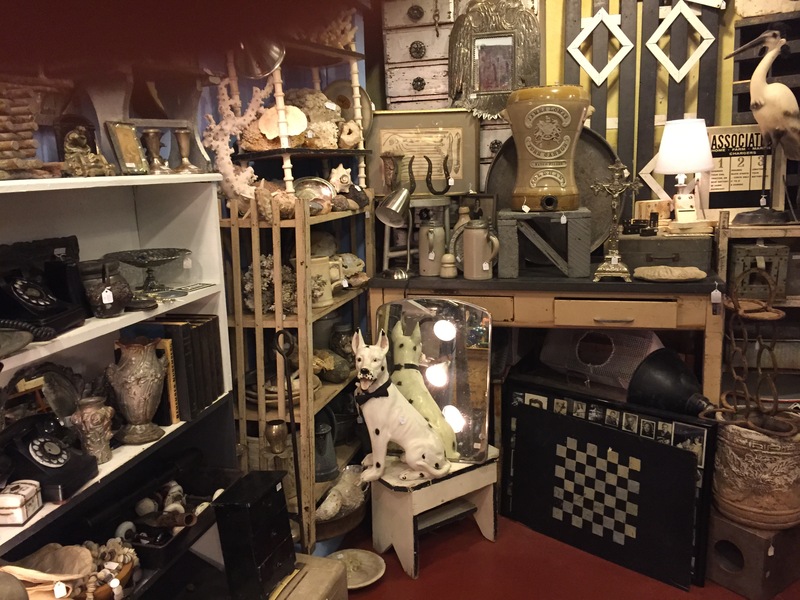 The store was a bit overwhelming and I just could not make a decision. It is close enough that I may well make my way back there. 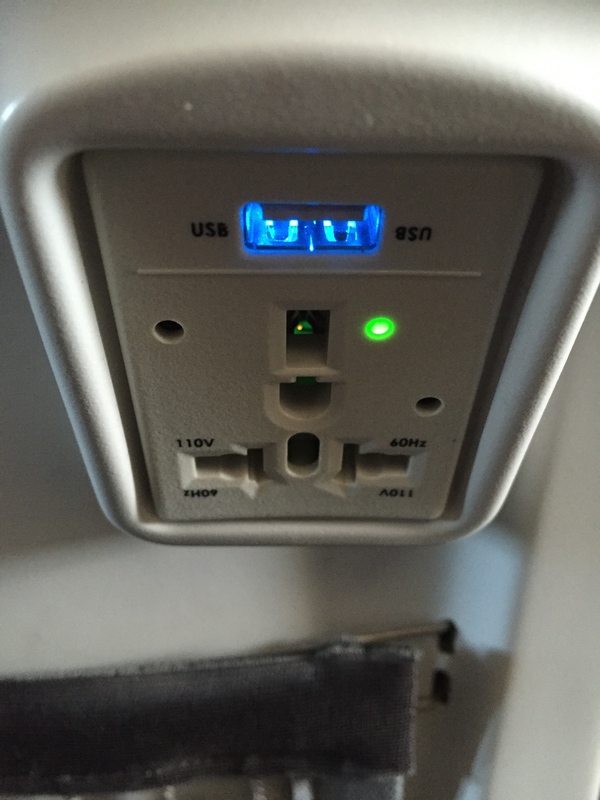 Oooh….high tech on the planes. No wonder you got no rest! I love all the signs and the photos inside the shops. That aisle of candy makes me think you will use it as inspiration for another quilt. The colors are so vibrant. Enjoy QuiltCon ! I had a very nice neighbor on the plane, and we stayed up all night whispering. Thanks for stopping by Mary. It is good to hear from you!